According to the undisclosed proposal drawn up by the Pakistani Air Force and Chinese officials at the start of the year, a special economic zone under CPEC would be created in Pakistan to produce a new generation of fighter jets. For the first time, navigation systems, radar systems and onboard weapons would be built jointly by the countries at factories in Pakistan. The proposal, confirmed by officials at the Ministry of Planning and Development, would expand China and Pakistan’s current cooperation on the JF-17 fighter jet, which is assembled at Pakistan’s military-run Kamra Aeronautical Complex in Punjab Province. 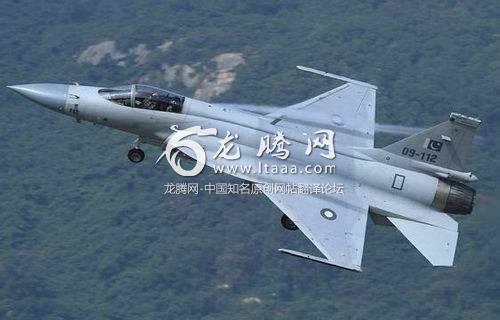 The Chinese-designed jets have given Pakistan an alternative to the American-built F-16 fighters. Congratulations. Any idea which generation that plane will be? just gusse mabye is JF-18 =(J20+J31)? It's Chinese 3rd Generation equal to western 4th Generation both sides have different nomenclature. Should be 5th Gen plus J10C too let's see fingers crossed CAC or SAC not gona come to Pak unless we have new projects in mind JF17 is running smooth so it's not about him it's J10C plus fith Gen. So is CAC coming to town? Make sense for 5th Gen. if CAC is coming We should expect J10C too then? Our relationship in all fields of power has become strategic, diplomatically, economic, militarily. I don't like CAC itself come to Pakistan and create something for PAF rather it should be CAC & PAC cooperation that should strengthen PAC & Pakistan. It's a joint collaboration, so even if CAC will be there it will have lots of Pakistani scientists and engineers. This article from Urdu Point is saying a next fighter jet program on the lines of JF-17 is decided between Pakistan and China. Urdu point is not a resource for defence news, but logic says after the success of JF-17 model, the model would be repeated. Pakistan's relationship with USA is on the downslide and will be so, for a foreseeable future. USA needs Pakistan to sustain in Afghanistan - a fact, but Pakistan stands in the way of US designs in South Asia. No matter what Pakistan does it will never be enough for their stand-point. USA has picked its ally in south Asia and it is not Pakistan and cannot be Pakistan. That means Pakistan will have to shift its focus from USA to elsewhere. Russia is not proving itself reliable enough and because of its money compulsions, it will keep taking a step forward and a step backwards from Pakistan's stand point. We cannot blame them for not fully siding with us. The only country that is continuously and reliably standing with us is the country with beautiful red flag - and it won't be a surprise that Pakistan goes "all in" with China and stop looking towards Russia, USA and other suppliers for its defence needs. If this happens, Pakistan may diversify "in-wards" and "outwards towards China". That means "self reliance" and "Reliance together with China" are the two logical models it may go for. Though I'm not sure about the authenticity of UrduPoint's article about defense matters. I think it might be loosely based on that article by NYTimes. According to that article a Special Economic Zone is to be setup where Pakistan will produce subsystems such as "navigation systems, radar systems and onboard weapons." Since Pak's next gen fighter is at least more than a decade away to even take shape, I think this process of Pak domestically producing subsystems like radars might start with JF17 Block III. Pak would probably start manufacturing the subsystems domestically under license and with help of Chinese. This would allow for these industrial capabilities to mature enough for them to play a part in the next gen fighter development. I'm hoping that in addition to China, Pak will invite Turkey, South Africa, Ukraine, Russia, South Korea, Indonesia, and even European countries to set up shop(as joint ventures) in this SEZ if possible. This would provide a great leap forward for Pak to diversify its defense equipment and in forming a robust domestic defense industry.